Balloon flight in the Masai Mara inclusive of champagne breakfast and transfer from and back to camp. Have you booked your Masai Mara Safari? If you are looking to do something extra special in the Masai Mara, book a hot air balloon ride over the Masai Mara. A hot air balloon safari in Masai Mara is an adventure of a lifetime. This is the perfect way to crown off your Masai Mara Safari. 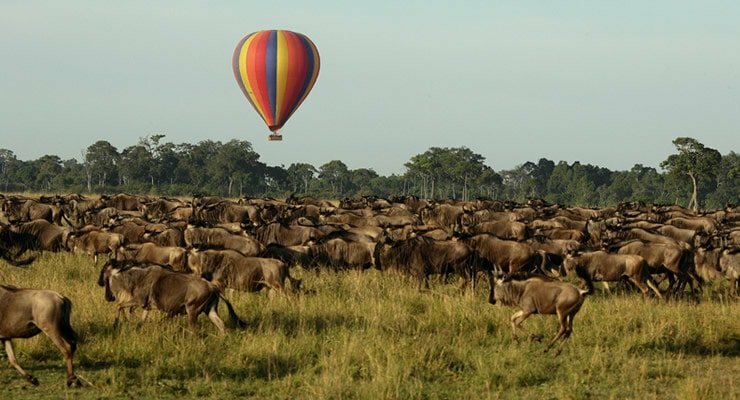 Our balloon safari offers the unique experience over the expansive Mara plains, forests and river teeming with abundance of game. On the day of the hot air balloon safari at the crack of dawn one will be transferred to a hot air balloon launching site from the Camp. At sunrise, you will be drifting over the vast plains as the first signs of life appear below. Usually, about 12 to 14 people enter the balloon’s basket. Guests are advised to wear warm clothing and bring along a camera and a notebook to list the animals and other attractive sites they would see. And once guests are in, the pilot lights up the banners and as the flames flare, the balloon begins to inflate and then it rises to the skies. Suspended in a basket beneath the balloon, guests receive a clear aerial view of the wildlife, plantation, rivers beneath them. The 1 hour Masai Mara hot air balloon ride experience offers a stillness and tranquility that cannot be found elsewhere else. The changing sky colors as you watch the sun rise are nothing short of magical. You will be granted an aerial view of the wildlife spectacle unfolding below as you take in all that the African Savannah has to offer. 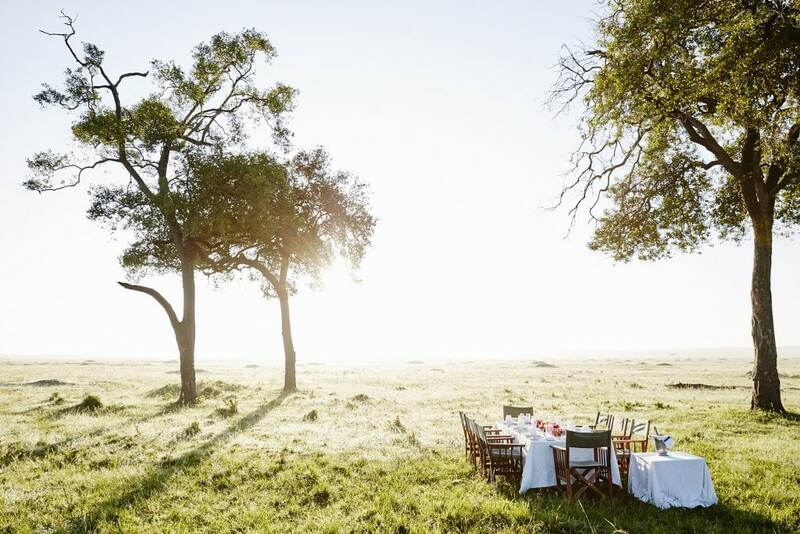 On landing you will be treated to a sumptuous champagne breakfast before returning to the lodge. On the D Day, you will have to rise early, usually before dawn around 4 – 5 am and our driver guides will drive you to the ballooning start point. On getting there you can enjoy a cup of tea or coffee while you watch as the hot air balloon is inflated. 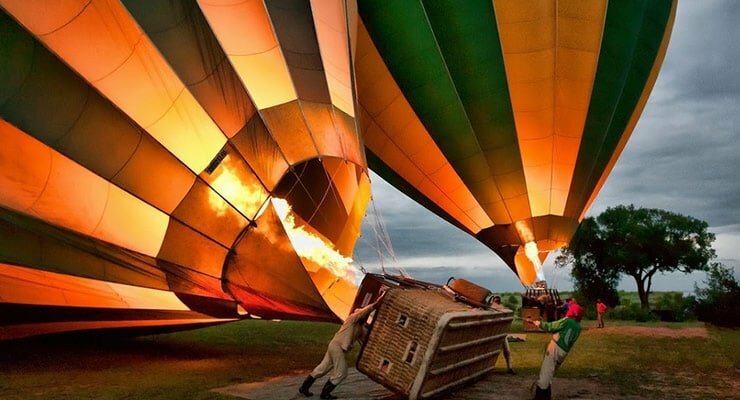 When all is set, you will get into the basket and your pilot will give you a short briefing on what to expect during your Masai Mara Hot Air Balloon safari. When guest land, breakfast is set up and served in the middle of the park. You can enjoy a glass of champagne whilst the table is laid and sausages cooked for you. Sitting on a camp stool, tucking into breakfast and watching the birds soar overhead is a magical experience. After breakfast you climb into your safari vehicle and enjoy a game drive back to camp.